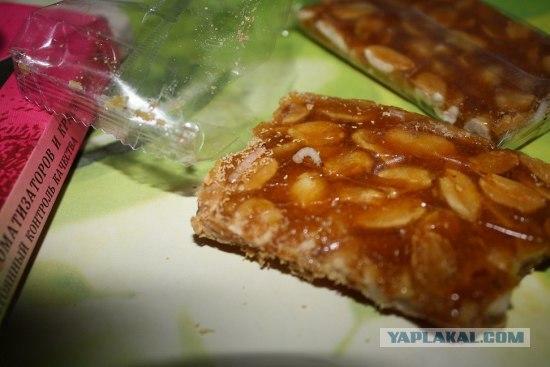 An unexpected guest in this peanut brittle? So disgusting! So WTF is the problem? 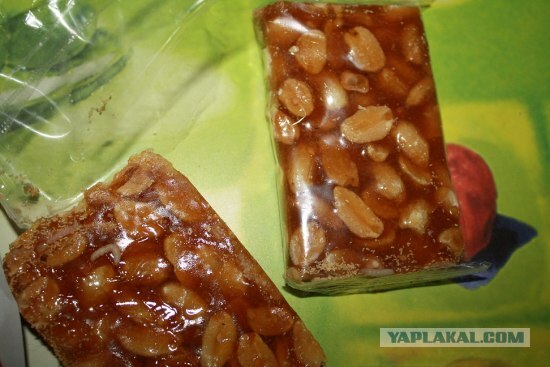 What’s so bad about peanuts in caramel? But still, my favorite ones are sun flower seeds based kozinaks. Ok, I see… Hold the worms. That happens in a lot of peanut candies. Ate half way through one in college before I noticed the little worms. Had to decide if I was hungry enough to finish it or not. Lots of people actually eat bugs for food. What is worse than finding a worm in an apple? I guess the most of it depends on what you are accustomed to since childhood. In every culture, there is food that you wouldn’t taste for 10 bucks while other people could eat lots of it. 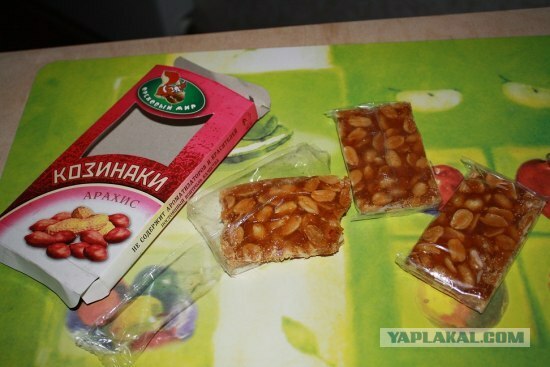 This is just extremely common in Russian candy. There’s a local place that imports the real stuff and a good portion of them have these little worms in them. They’re mostly so tiny you don’t even notice unless you’re looking for them, but if the candies are old enough the big ball of dead worms and worm poop is noticable – like in this case, besides the big worm there. 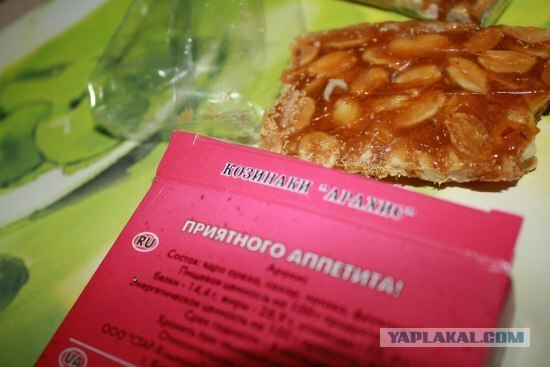 It’s mostly the peanut stuff like Belochka, but since it’s usually all the same factory you often find them in in other things, like the Lady Night chocolate prunes. In Sowjet Russia, candy eats you. Pé de moleque aka foot kid’s, favorite candy of michael jackson.